A real estate disaster ends in a miracle. Six homes on Cleveland's near-west side are now getting a generous facelift. 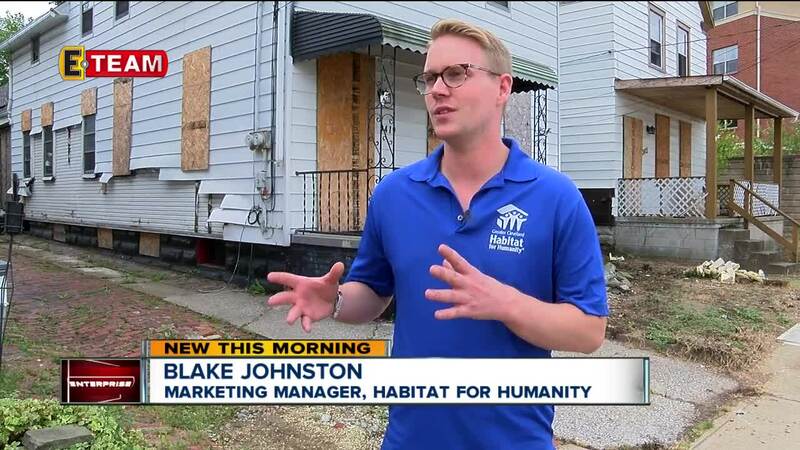 “So for us this was definitely something we feel we could transform this city," said Blake Johnston, Marketing and Communication Manager for Cleveland’s Habitat for Humanity. They're transforming the homes on Roehl avenue that were abandoned back in 2016. "It's a win-win for the neighborhood, for the parish, a good thing for habitat for humanities," said Deacon Jim Armstrong with the Catholic Diocese of Cleveland. 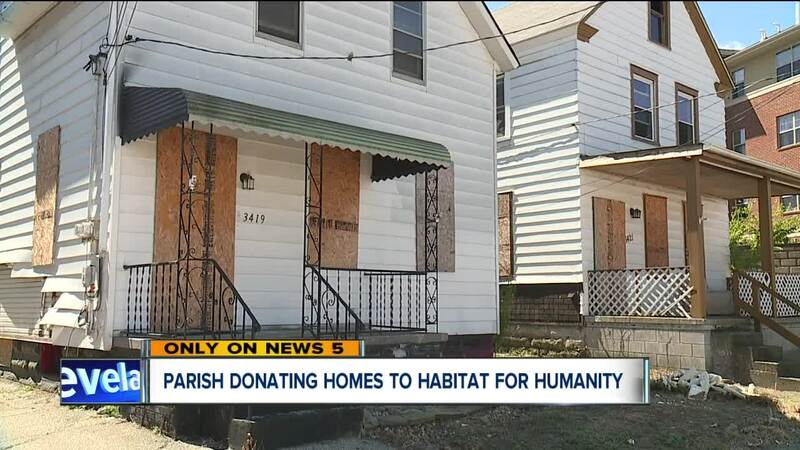 An anonymous person helped facilitate a deal between St. Rocco parish and The Diocese Of Cleveland, to transfer the land to Habitat for Humanity, getting them to renovate the homes. “We really like to focus on neighborhood revitalization," Johnston said. The idea is to eventually be able to sell the homes to low and moderate-income buyers. “The third party felt strongly that the best thing for the neighborhood would have been to have these house be owner-occupied, as oppose to rental properties," Deacon Armstrong said. It's all to help prevent more demolitions on the street, one that has struggled with blight for the past two years. "What it does is strengthen the neighborhood a great deal," said Deacon Armstrong. Habitat says the renovations will be gut-rehabs, costing close to 120 thousand dollars per house. “These are a little bit larger than the typical rehab that we do," he said. They'll break ground in early fall.